In October 1895, Paul Mauser filed his patent for his new bolt action. That point was the origin of the modern bolt action rifle. Since then his original design has been adapted and imitated but has never been improved upon. Paul Mauser was a genius far ahead of his time and we feel he would approve of the fusion of his technology in the MPR. Marcus Vitruvius Pollio the Roman architect, engineer and author, first asserted in his book, De architectura that a structure must exhibit the three qualities of firmitas, utilitas, venustas – that a design be solid, useful and beautiful. Traditional rifle furniture of walnut and leather work in harmony with aerospace grade metals and carbon fibre and centuries old gunmaking techniques are complimented by the latest in manufacturing and materials science. 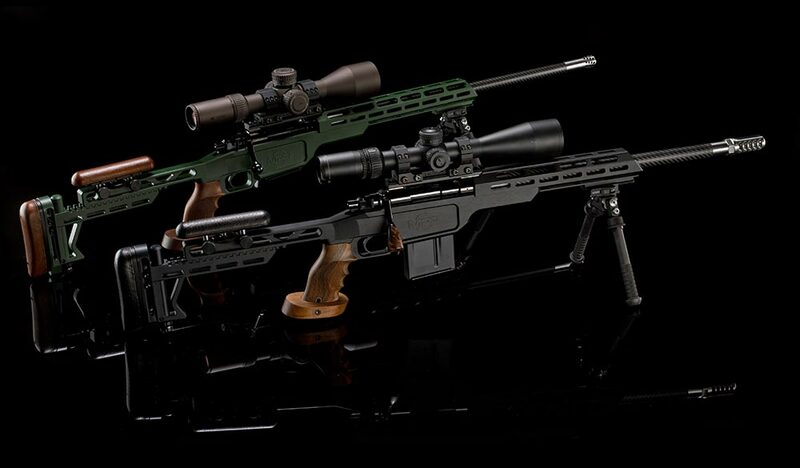 The Medwell Precision Rifle exemplifies unity in design. All elements of the rifle were designed simultaneously to compliment the finished work as a whole. The rear of the stock was designed specifically to work with the lighter weight of a carbon fibre barrel giving near perfect 50/50 weight distribution around the center of the rifle. 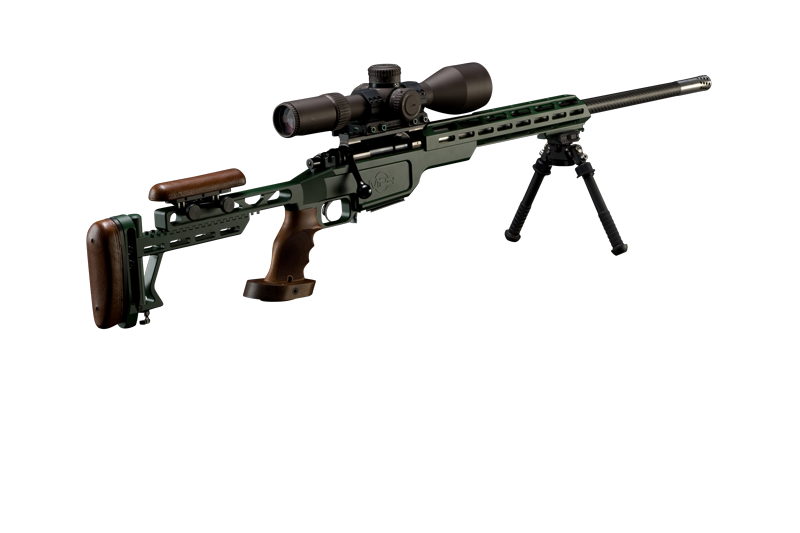 From its very inception as a computer model the weight of an optical sight and the addition of a bipod was included in the design philosophy, even the integral monopod has been carefully designed to ensure it does not upset the balance of the rifle. Each MPR is made to order and various bespoke finishes and specifications are available on request. Only a limited number will be made each year. 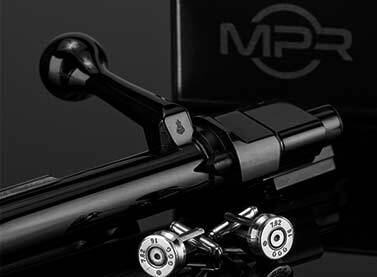 The design of the MPR started with this principle at its inception and although a thoroughbred precision rifle it also reflects design inspiration from the best of British sports car, aerospace and yacht design. 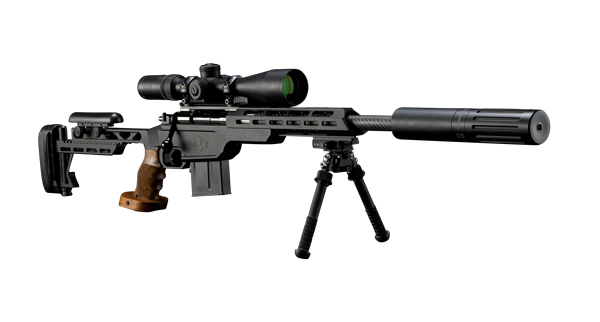 When range is your goal whether in the field or when target shooting, the Vanquish sports a 24 inch barrel with a longerfore-end suitable for the mounting of various optical or electronic aiming aids. Compact, light and powerful, the Wraith has a 17 inch barrel in calibre specific twists combined with a shorter fore-end. Particularly useful if your hunt involves vehicles or helicopters. 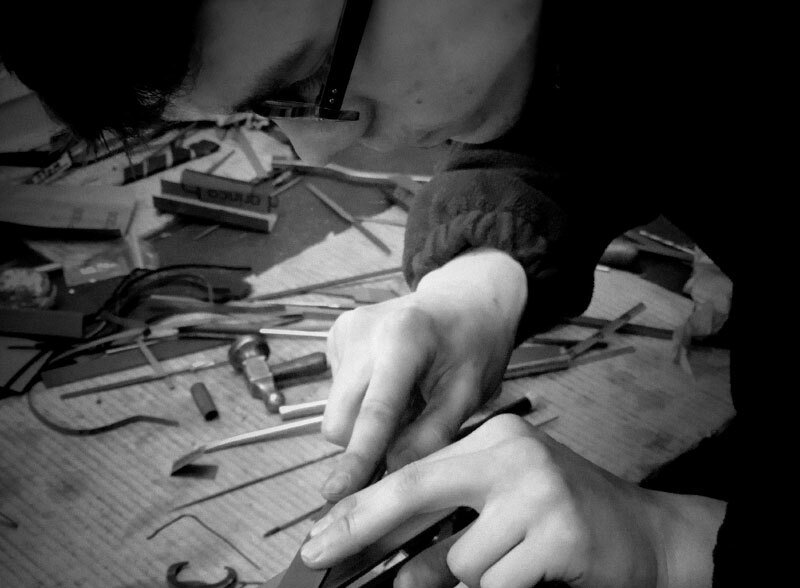 Each Medwell Precision Rifle is meticulously inspected at every stage of its creation. Beauty by design and flawless in operation. 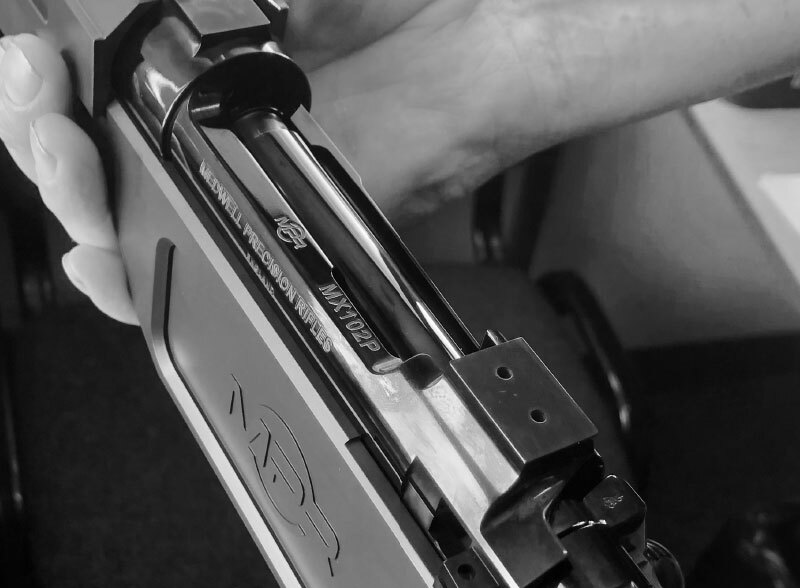 The MPR is crafted individually by a single Master Gunmaker and apprentice using techniques handed down for generations. 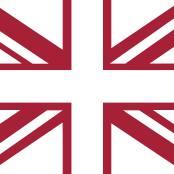 For over 20 years Mayfair Engineering have been master gunmakers to some of the oldest and most exclusive names in London Best Gun making circles and abroad.